An impressive door in the style of art nouveau (Jugendstil) seen at the Dannebergplatz in Vienna. Whereas the park (Arenbergpark) in the middle of the Dannebergplatz is characterized by two high-rise bunkers of World War II, the buildings around the place offer some lovely architecture like depicted above. 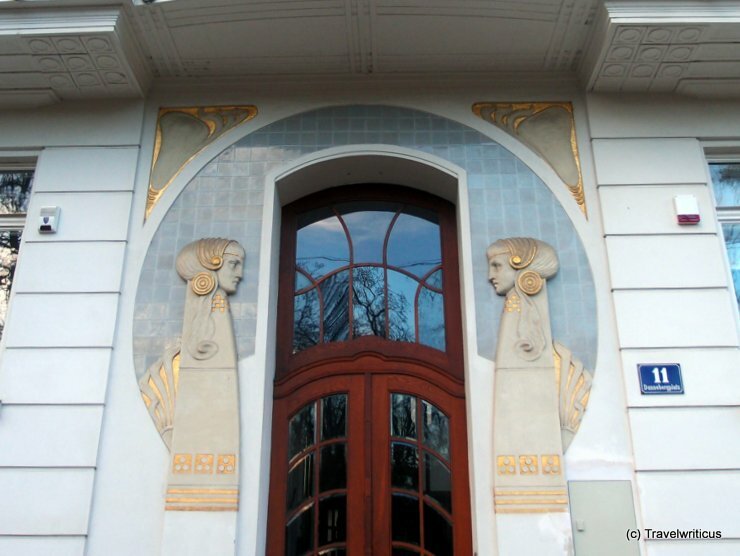 This entry was posted in Architecture, Art Nouveau and tagged Austria, Vienna by Travelwriticus. Bookmark the permalink.